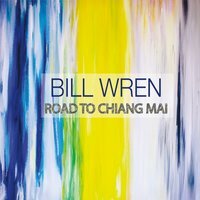 Bill Wren is a Texas-based musician and composer who’s released a couple of critically acclaimed albums. His third release, Road to Chiang Mai (named for the largest and most culturally significant city in Northern Thailand), was inspired by a trip to the Southeast Asian country and the start of a new life. Four of the album’s thirteen compositions were composed by Frank Ralls (whom also arranged, orchestrated and mixed the album) as well as provides drums and keyboard – while the rest of the tracks were composed by both Bill Wren and Frank Ralls. Also joining the musician line-up is Micha Gilliam on both electric and acoustic guitar as well as mandolin and banjo, John Gibson on bass guitar, Jim Farrelly on penny whistle, Aubrey Logan, Ben Bram and Tim Davis on vocals, Ben Lash and Nick Curry on cello, Ann Marie Calhoun on violin, and strings courtesy of String Mob LA. “Enchanted Kingdom” (featuring Frank Ralls) is a sweeping and cinematic opener that boasts a full orchestra led by powerful drums with interspersed digital effects. Hovering somewhere between the realm of neoclassical and symphonic rock music, this lively and colorful piece immediately signals the embarking on a fantastic voyage. Frank Ralls also lends both his arranging and instrumental talents to the next piece, titled “The Other Side”. One of my favorites, this amazing fusion of neoclassical and electronica features piano, strings and keyboards set to an infectious staccato rhythm, with female vocals providing airy ‘ooohs’ and ‘ahhhs’ throughout. “The Beginning” is another highlight initially led by a beautiful mandolin instrument amidst sparking chimes, soothing electronics and lush orchestration, which collectively unfold into a colorfully sonic arrangement. However, “Journey around the Sun” (also featuring Frank Ralls) is perhaps the album’s most prestigious moment. Guided by encircling textures of dreamy synths and cascading guitars, which are underscored by hypnotic percussion, it exemplifies an exquisite fusion of acoustic and ambient music. A more solemn tone is conveyed on a couple of tracks – including the solo cello piece, “Longing” (featuring Ben Lash), as well as “Memories” (once again featuring Frank Ralls), which consists of both piano and cello – before the gently uplifting mood returns on “The Way It Was”, a Celtic-flavored piece featuring Jim Farrelly on penny whistle. “Ebb and Flow” closes out the album with mandolin, light bells and gentle orchestration, signifying that our enchanting celebration is quietly winding down. A childlike wonder is conveyed on this piece, evoking images of a beautiful city beneath a starry sky, as if to honor the magical memory of an enchanted land somewhere far away. This review was originally published on Journeyscapes Radio on 09/22/16. Earthlight is the sixth album from musician and composer Jon Richards, released on Medwyn Goodall’s UK-based record label, MG Music. Comprised of eight compositions spanning just over an hour, the album showcases a beautiful array of electric guitar melodies and textures, perfectly interwoven among encompassing synthesizers, electronic rhythms and ethereal voices throughout. 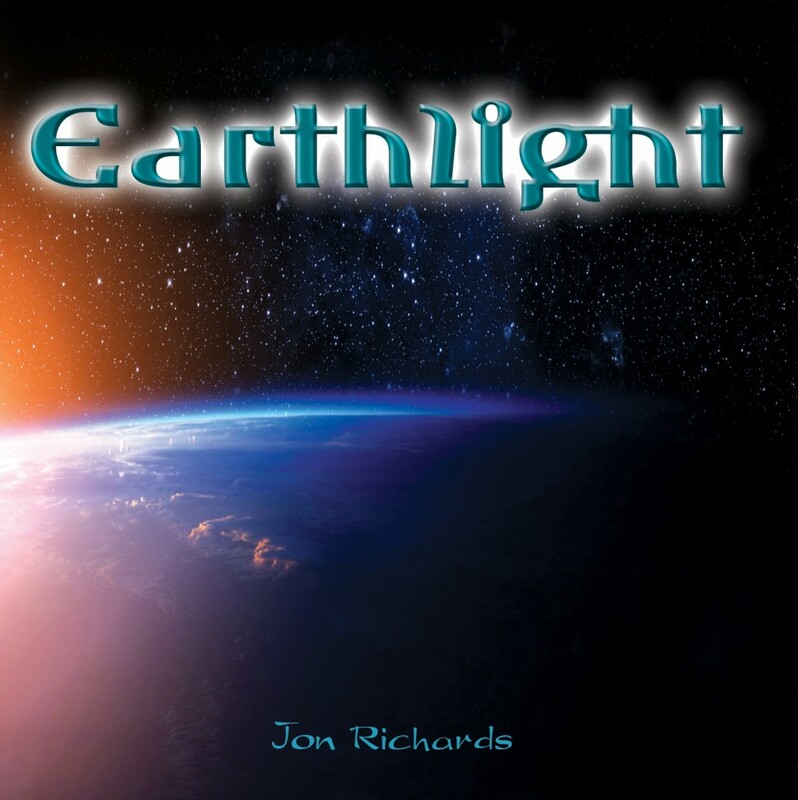 The title track, “Earthlight”, opens like an approaching dawn, introduced by warm, enveloping synthesizers and gentle guitar plucks. Encroaching drums soon give way to a steady electronic rhythm, as the piece takes on a more cinematic quality full of keyboard layers and soaring electric guitar that collectively impart a feeling of flight. “Falling Star” continues in this mode while introducing cello, as exotic female vocals lend a touch of world to the piece. The leisurely-paced “Daybreak” is one of my favorite compositions, which showcases a gorgeous electric guitar motif along with cello and airy bells. “Satellites” takes things up a notch with more dynamic electronic elements, as the familiar female voice injects a worldlier feel into its spacey arrangement. “Afterglow” is especially dreamlike, in which choral voices and ethereal guitar soar among echoing drums. The aptly-named “Solar Winds” opens with the sound of cosmic winds that eventually morph into a melodic and mesmerizing chill-style arrangement. “Eternity” is initially led by the sound of Dakuk, a gorgeous instrument from Armenia that I’ve long been particularly fond of. Clocking in at nine-and-a-half minutes, it’s the lengthiest track on the album, in which all of the familiar elements mark their presence throughout. “Majestic” signals the end of our stratospheric sojourn, concluding with a mystical female voice that seems to represent Gaia herself transmitting a secret message into the ethers. For more information please visit the artist's website. This album can also be purchased at MG Music and Amazon. This review was originally published on Journeyscapes Radio on 09/20/16. 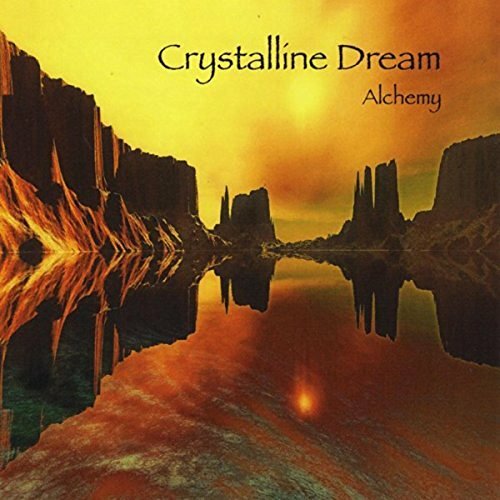 Alchemy is the third installment of a five-part album series by Crystalline Dream, a musical project conceived and composed by Richard Ross. Incorporating both electronic and indigenous instruments on the album, Alchemy spans styles of ambient, ethno-tribal and electronic-space music variably throughout, as its ten compositions take the listener on an extraordinary journey far-removed from the hustle-and-bustle of daily life. The album opens with the title track, “Alchemy”, as whistling flutes and ghostly whirling voices are led by echoing electro-tribal drums. 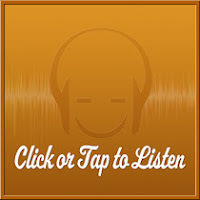 Shamanic and ritualistic in nature, the listener is immediately whisked away to an exotic destination – one that I can envision located somewhere deep in the Himalayas. This mood continues into “Pb-Au”, where bubbling synths and buzzing chimes impart a sense of entering a deep cavern encrusted with stalagmites as waters churning below. Electronic sequencing in the style of classic Tangerine Dream takes the foreground on “Enhormonium”, a traveling piece that conveys a notion of traversing the night sky. Kicking things up another notch is “Contrapuntos”, a piece led by a horn-like instrument, which infuses electric guitar and electro-tribal drumming with a bit of psychedelia. The following track, “Aelous”, is quite a stunner and possibly my favorite on the album – once again channeling the spirit of Tangerine Dream (as well as TD protégé Alpha Wave Movement). This classic electronic-space number feels beautifully expansive and majestically nocturnal, with its ethereally melodic chords set upon layers of dreamily rhythmic sequencing. “Musica Universalis” is another particular standout which bears a remarkable similarity to the music of Jonn Serrie. A classic ambient-space piece, it commences with slow-shifting tones and cavernous drones that seem to capture the resplendent mystique of the Aurora Borealis. Ending the album much in the same way it began, the familiar introductory elements return on “Alchemy (Reprise)”. This piece seems to create an impression of venturing through a portal, as if finally having arrived full-circle on our journey to a secret subterranean paradise. For more information please visit Threshold Studios. This album can also be purchased at Amazon, iTunes and CD Baby. This review was originally published on Journeyscapes Radio on 09/17/16. 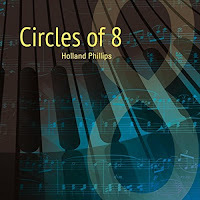 Holland Phillips is a keyboardist and composer whose fifth album, Circles of 8 is inspired by the resonances from the circles of life and vibrational building blocks of creation. 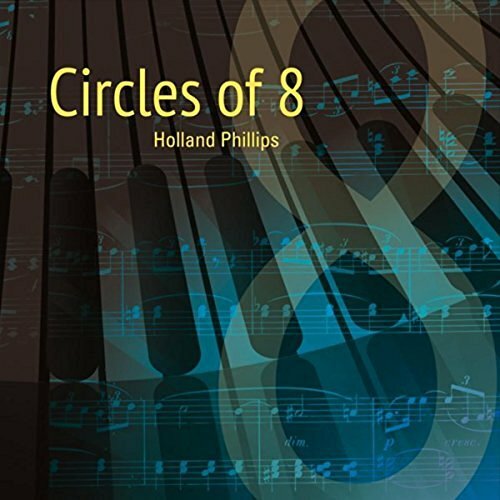 Comprised of eleven compositions spanning fifty-one minutes, Holland demonstrates mostly dynamic and melodically straightforward motifs on this recording, which have been rendered on both new and vintage keyboards and synthesizers. He likewise plays acoustic and electric guitar on a couple of tracks while incorporating additional sounds of strings, woodwinds, harpsichord, percussion and bass, which are provided on various compositions throughout. Review originally published on Journeyscapes Radio on 09/08/16.